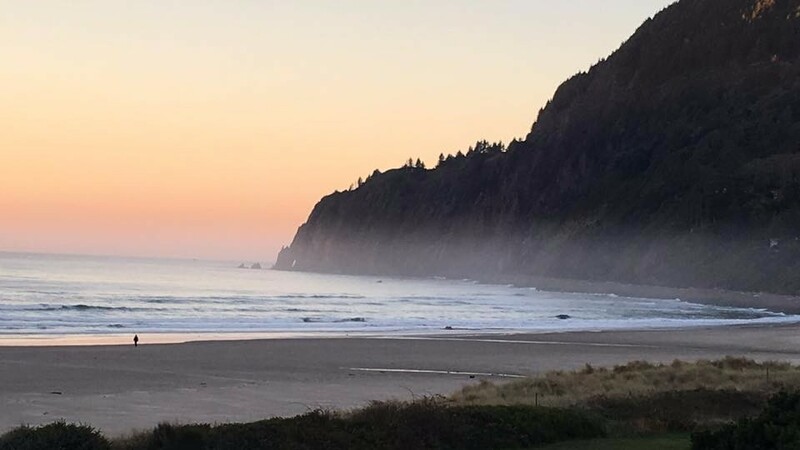 The Oregon coast, photo by Deb McMahon. My, have the Gaskin family missed you terribly! As I (Rob) gear up for a return to my position as a staff pastor, I thought I would share some thoughts about my time away. Why did I take a sabbatical? There is no other way to say it - I needed one. Typically, full-time pastors are given an extended break (three to six months) every seven to ten years. At Karis, we decided on twelve weeks off every seven years. I’ve been involved in ministry at Karis for a little more than seven years, and I think it was starting to show. So I asked for a break and the elders graciously agreed. While I’ve been greatly blessed with my job at Karis, the position does come with the responsibility of being on call 24/7/365. At almost every hour of the day at some point over the years, I’ve received an emergency phone call asking for my help. Whether it’s a member who needs counseling at 10 p.m., or another who’s been displaced and asking for help after midnight, or an early call that has me out the door before the sun is up, it became routine to miss a family meal or a few hours of sleep as I served in my role as pastor. While these were not everyday occurrences, the evenings and weekends and extra hours away from home really began to add up and weigh not just on me, but my family as well. Taking a sabbatical then was for two reasons, 1.) to recover some of the lost time with my family, and 2.) to heal from the some of the weariness and wounds that come from attempting to meet the ever-present needs of our church family. What did I do while I was gone? The goals were pretty straightforward. 1.) spend time with family. 2.) rest and recover. 3.) rethink the work/life balance upon re-entry. I spent the first half (6 weeks) of my time off traveling. My wife was gracious enough to give me a two-week head start. I spent a week with Pastor Kevin in North Dakota for a pastors’ conference and a week in Montana to enjoy some solitude in the mountains. Both were relaxing and refreshing for my body and my soul. After those two weeks, my wife and daughter flew out and met me in Oregon where we spent three weeks together as a family on the Oregon coast. It was every bit the quality time I had hoped for with them. After our return, we took a few other smaller trips. I enjoyed a weekend with the elders on a team retreat, and my wife and both enjoyed time together with our extended families. After the traveling was over, I dedicated most of my time to projects on the house, reading, and exercise. Naturally, I sprained my back in my first week back in the gym. I’m on the mend, though, and nearly 100% again. I have to admit, the physical rest that comes from healing a sprained back wasn’t too bad. In the final weeks of my time away, I’ve been spending a great deal of time on “reentry” planning. This mostly involves evaluating work habits and how I prioritize, as well rethinking work/life balance and how to manage my spiritual, physical, marriage, and family health. This has been a really fruitful process that should result in some changes that will benefit my spiritual life, my work, my family, and hopefully the church. 1. Being present is not the same as being involved. While I was generally home at a reasonable time in the evening after each work day, I was often in a state of emotional exhaustion from the day’s work. So while I might have been in the same room with my wife and daughter, I might as well have been back at work or in bed given the lack of quality, genuine interaction I had with them. I confess, this was a regular, unhealthy pattern in my life and one that I’m more aware of and committed to improving. 2. I need to grow as a Karis member, not just a Karis pastor. Whether it’s sitting in on preaching workshops, spending time with more seasoned leaders, or attending pastor conferences, I’ve invested heavily in growing as a pastor. Sadly, I don’t think I’ve had the same intentionally in growing as a member of the church. The reality is, for nearly every second of the day, I’m usually the de facto decision-maker, problem-solver, or counsel-provider. And while this comes with the territory of leading in the church and in the home, I do think this is in part what has led to an unhealthy level of emotional exhaustion and ministry fatigue. I’ve come to realize - I have to find more ways to listen, to learn, and to be led. The one major way I think I can grow as a healthy member in my walk with Jesus and the church is to give up leading a Missional Community, allowing someone else the opportunity to lead, while giving me a chance to have a momentary break in leadership, while focusing more on my spiritual health and the spiritual health of my family. I genuinely look forward, after a day of leading, to come home to my MC or Fight Club and allow others to lead me. 3. My lacking in spiritual discipline was not for lack of time. If I’m being completely transparent (and I don’t think I’m alone here), I often think I’d grow deeper in my prayer life and study of the Word if I just had more time. So surely extended time off from work would alienate all obstacles in my growth in the spiritual disciplines. WRONG. I realize now, it’s not that I didn’t have enough time, it’s that I didn’t value my spiritual health enough. While I have grown in discipline over the break, the real mark of growth will come when I’m crunched for time and faced with making spiritual disciplines a priority. Will you join me in fighting to make this a priority? While we’re on the subject of what I’ve learned, if you’re looking to grow in discipline and time management, one angle to consider is time spent on your phone. During my solitude trip to Montana, I read Tony Reinke’s 12 Ways Your Phone is Changing You. This is by far my favorite book to recommend from everything I read while I was away from work. If you’re a little too hooked on your smartphone, I strongly suggest you give this book a read. I’ve since made a lot of changes to my use of my smartphone. 4. I am a blessed man. Okay, this is more something I’ve re-learned. I am thankful to have such a supportive church and elder team to allow me to take this time off. My love for the Karis family and our city has only grown during my time away. I am blessed to have such a wonderful wife. She’s been such a consistent source of encouragement and challenge to me during my time away and so I’m thankful for it. I’m also thankful for Rachelle Cox for holding down the fort while I was gone. All the reports I’ve gotten thus far indicate she’s done a stellar job as my interim. I am a blessed man indeed. I cannot wait to return! My first gathering back will be this Sunday the 14th and my first day back in the office will be on Monday the 15th. I’ll spend the first week re-orienting myself with the staff and elder team while also preparing for our upcoming Member Meeting on Sunday the 28th. With some exceptions to how I manage my time as I work to improve my work/life balance, I expect very little to change when I return. Despite some of the challenges that come with being a pastor, it’s what I love and what I’m called to, so don’t be afraid to reach out if you need help!